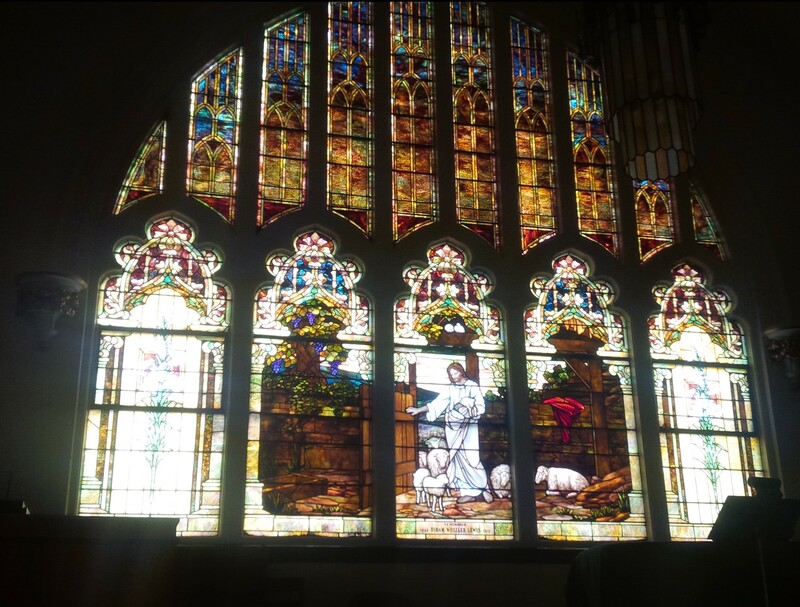 The south transept window honors Robert E. Lawrence, early day Wichitan and long-time member of the church. 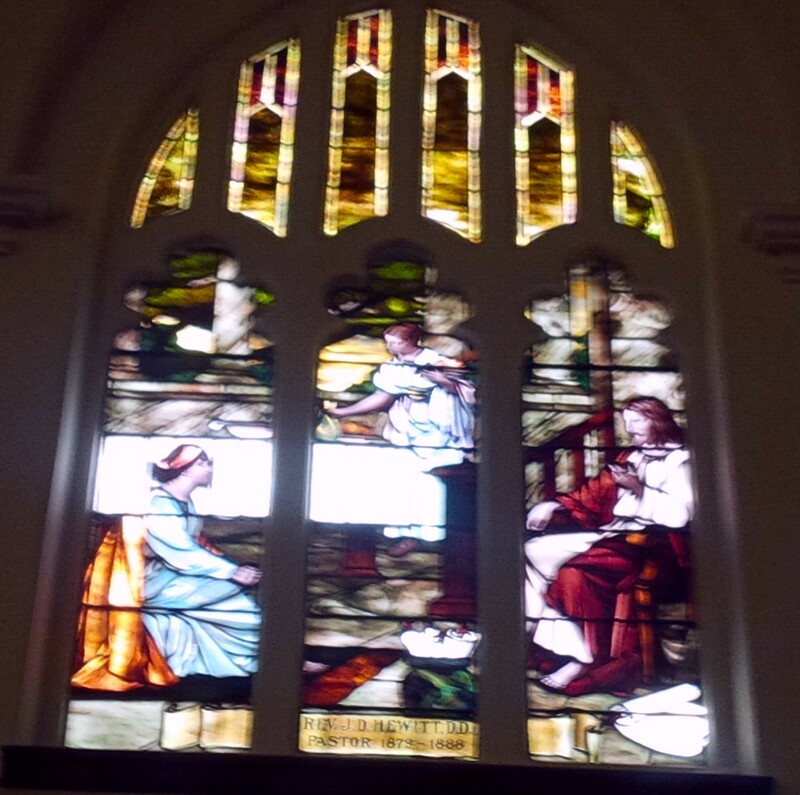 It is called the “Commission Window” because it depicts Jesus teaching his Disciples and urging them to “go and teach all nations.” It is a composite picture designed by Mr. Andrew. 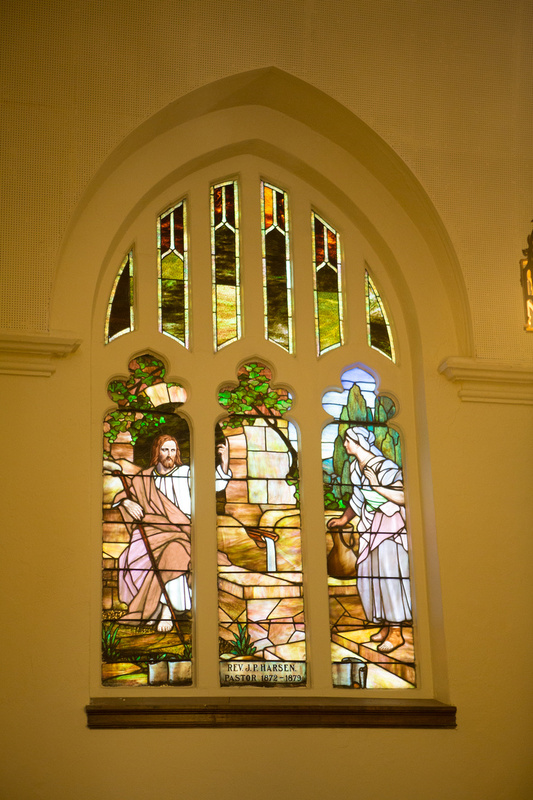 The north transept window honors James R. Mead, one of Wichita’s earliest settlers. The window, entitled “The Ascension” is a reproduction of a painting by Gottlieb Peter Bierman. The inscription “And lo, I am with you alway,” portrays the Disciples watching as Jesus ascends into Heaven. 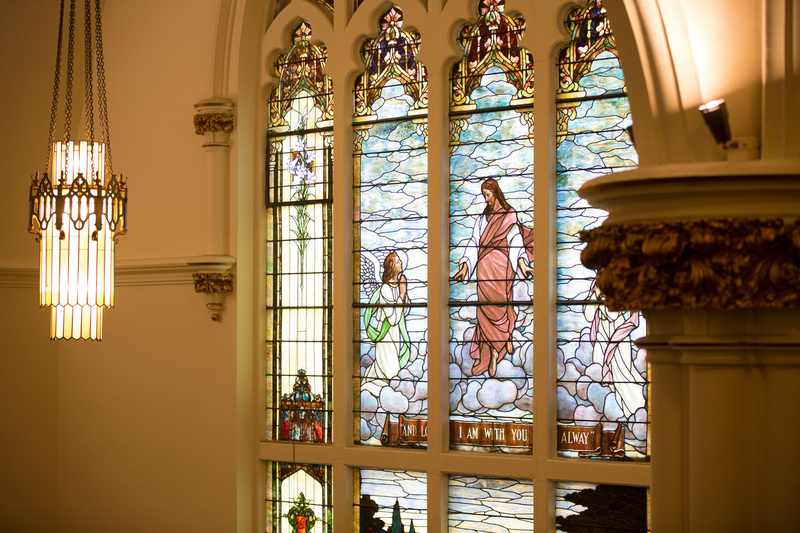 Like the south window, the window is 30 feet by 19 ½ feet. 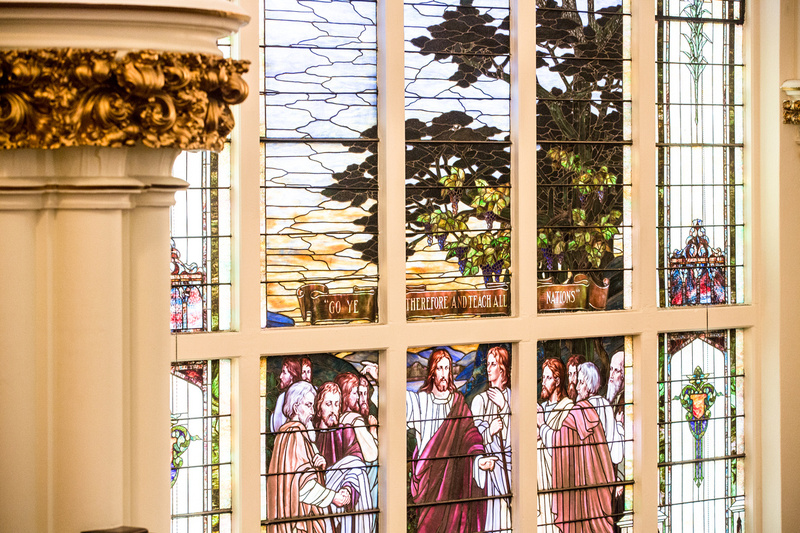 Completing the windows in the Sanctuary are three smaller ones, all honoring former ministers. The famous painting “Christ in Gethsemane” by Heinrich Hoffmann is in the Narthex and is best viewed from the center aisle of the Sanctuary. 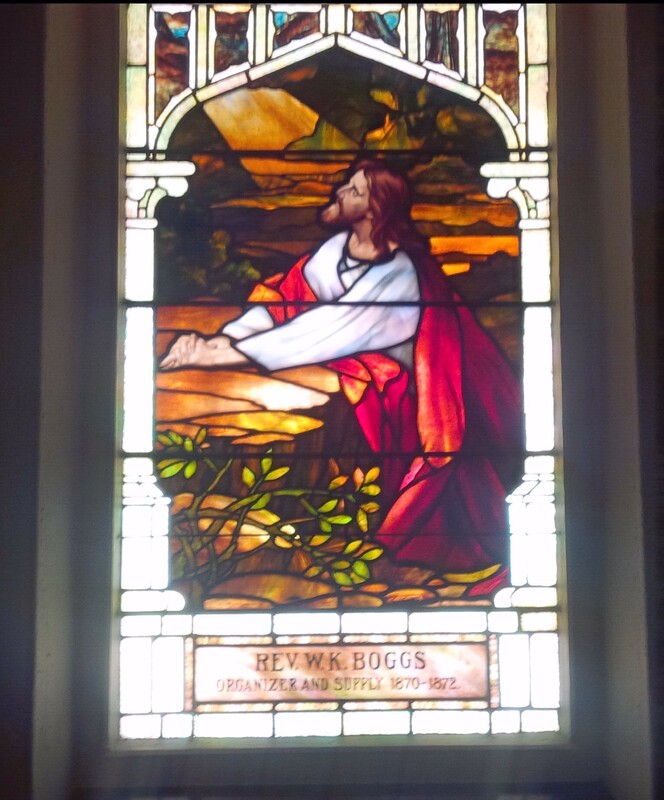 It honors Wilberforce K. Boggs, Organizing Pastor and Stated Supply. In the upper front corners are two more windows based on Hoffmann paintings. In the southwest corner is “Christ in the Home of Martha and Mary” and honors the Rev. J. D. Hewitt (Pastor 1879-1888). In the northwest corner is the well-known “Christ and the Woman of Samaria.” It honors the Rev. John P. Harsen (Pastor 1872-1879). Stained glass was used to fill in all of the other windows of the building, though none had scenes. In the dome are many panes of colored glass that allow sunlight to wash the lower area of the room. Even the windows in the outer hallways were filled with colored glass. A few of the windows in the addition of 1961 contain a modern version of the originals. The large windows have been protected since 1913 with rib glass. Later a more modern covering was added. This accounts for the excellent condition of the large window.